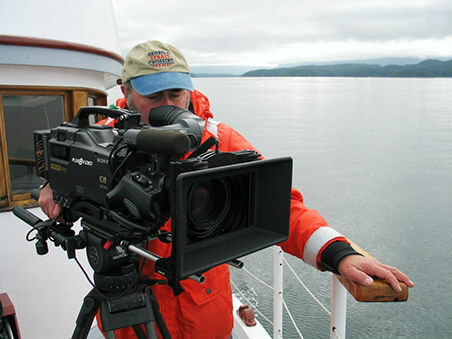 Providing high-definition underwater video production services for documentaries, commercials and industrial productions. 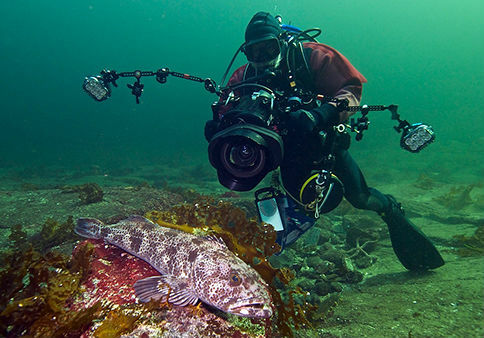 Complete package includes underwater DP, Sony EX1R camera, Gates underwater housing with Fathom corrected dome port, Bonica LED lights and complete cold-water scuba equipment. Charter vessels, support divers and other logistics can also be arranged. In the 35 years I've been filming underwater, I have had the pleasure of working with some of these top Natural History Production Companies.